Two recent acquisitions by the Getty Museum’s Antiquities Department look, at first glance, to be rather humble artifacts. But even these objects have stories to tell, and they repay further attention. The first is a deep drinking bowl, a shape that specialists call a “bolsal.” The term was coined by Sir John Beazley (1885–1970), the English scholar who was central to the study of ancient Greek pottery, and whose name will recur throughout this post. The made-up word derives from Bologna and Salonica (now Thessaloniki), towns in which museums house decorated examples of the vase shape. 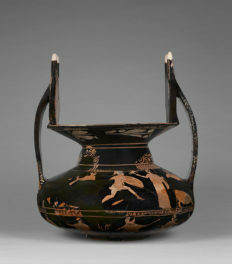 The second vessel has a Greek name, oenochoe, literally “wine-pourer.” Such vases were produced in many forms, and, as often with trends in style, certain types were popular at different times. To that end, scholars have created typologies to better understand their production; our vessel is classed as a “shape 2,” and is identifiable by its low foot, slim body, and short neck with a trefoil mouth (think of a three-lobed clover leaf). Both of the vases are painted all over with a fine black gloss, and are representative of a category of ancient ceramics that doesn’t really get the attention it deserves. Though “plain” to many eyes, these vases were a key component in ancient pottery production, manufactured in large quantities alongside the more immediately recognizable figure-decorated vases. 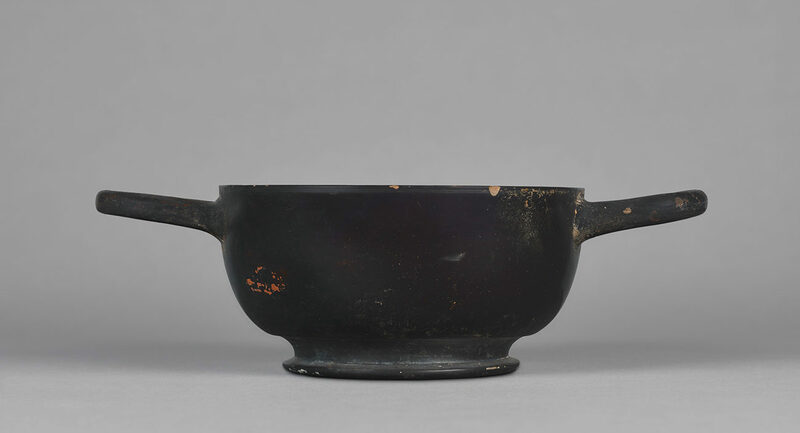 Our examples were made in Athens, but similar “black-gloss” ware was produced in other regions around the Mediterranean. In many cases, they deserve closer viewing, as delicate floral or linear patterns were often impressed or incised on the surface. Our two new vases have no such decoration, but do offer a sidelight onto aspects of the study of Greek pottery, and the worlds of scholarship and collecting in twentieth-century England. They were both previously owned by Sir Walter Oakeshott (1903–1987), who recorded buying them in Athens whilst he was lecturing for Swan Hellenic Cruises in the very late 1950s or early 1960s. Sir Walter served as chief master at two major English public schools—St Paul’s (1931–1946) and Winchester (1946–1954)—and subsequently as Rector of Lincoln College in Oxford (1954–1972). 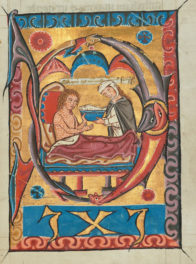 Today he is best known as a scholar of medieval and Renaissance English art and literature (his archive is now housed in the Getty Research Institute), but his classical training as an undergraduate at Oxford remained as an interest throughout his life—and all the more so for his wife Noel (née Moon), who was an authority on Greek and South Italian vase painting. As students in Oxford, they had both studied under Sir John Beazley, and continued to be devoted to him throughout his life. Indeed, in his role as vice-chancellor of Oxford University, Walter Oakeshott was instrumental in the establishment of the Beazley Archive, the repository for Beazley’s notebooks, drawings, and photographs (now easily accessible online), which remains the go-to source for any student of Greek vase painting. 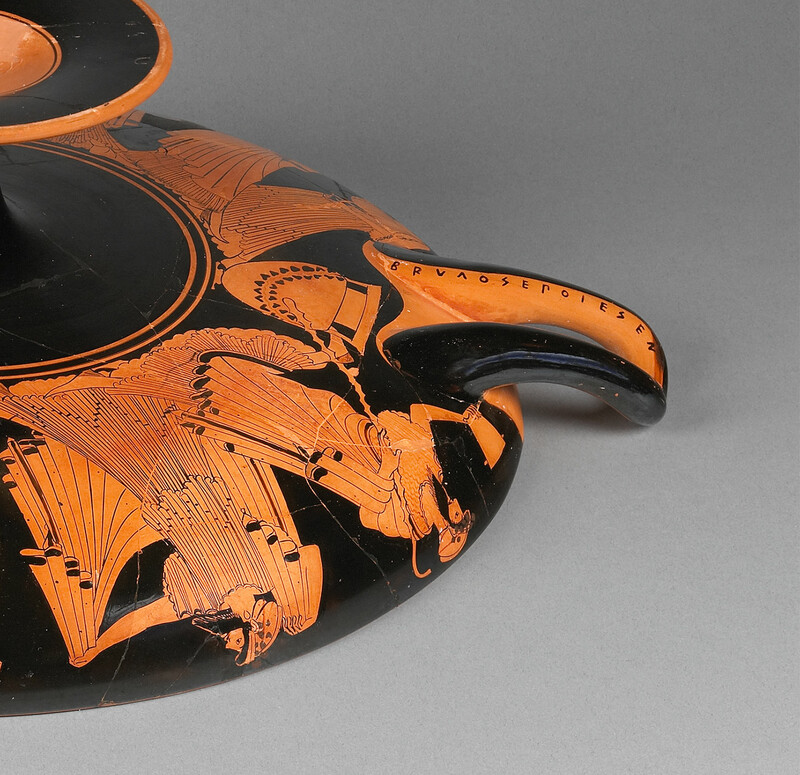 Through the meticulous study of style and technique and an extraordinary visual memory, Beazley attributed thousands of ancient Greek vases and sherds to individual hands. In some cases, ancient potters and painters did sign their names (see, for example, the signature of the potter Brygos on the handle of this cup), and Beazley could then associate other (unsigned) fragments on the basis of their stylistic similarities. In many other cases, though, the craftsmen’s names have been lost to history, and so Beazley—and others after him—coined nicknames. These monikers had many sources of inspiration—perhaps a mythical figure on a certain vase (e.g., the Achilles Painter), a specific scene (e.g., the Foundry Painter), a particular vessel’s inventory number (e.g., the Painter of Louvre F6) or a stylistic quirk (e.g., the Affecter, Elbows Out; there’s even a “Worst Painter”). One other source for nicknames was a vase’s current owner, and there is in fact an Oakeshott Painter, named after a black-figure cup that Sir Walter and Noel had acquired in 1958. Following Beazley’s death in 1970, the Oakeshotts presented the vase in his memory to the Ashmolean Museum in Oxford. Prior to his passing, Beazley saw our two black vessels when they were in the Oakeshotts’ collection. Their absence of decoration precluded the possibility of attributing them to a painter, although progress could still be made by studying details of their potting in order to identify workshop preferences. 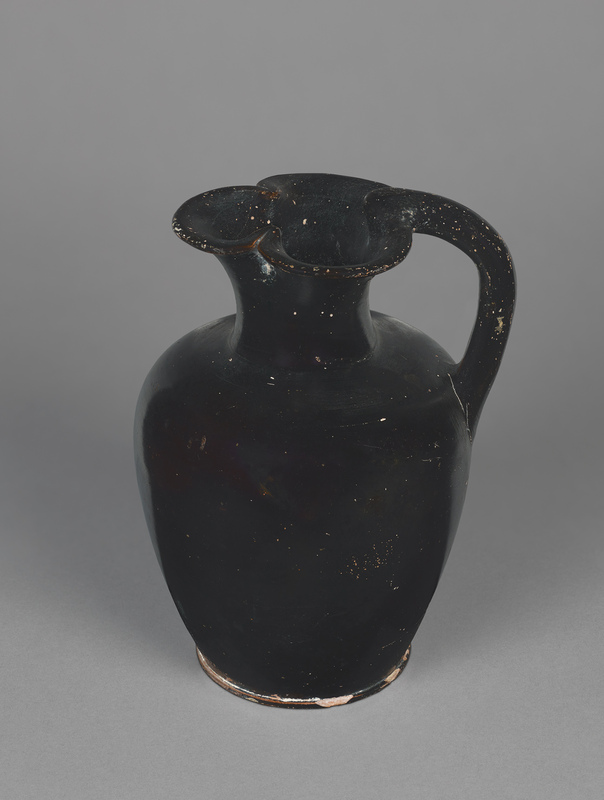 But for those of you interested in the processes of attribution, we will be devoting a case in the reinstalled Villa galleries to the Kleophrades Painter, an Athenian red-figure vase painter active in the early fifth-century B.C. His real name remains unknown (for a brief time, it was thought that it could have been Epiktetos, but the signature in question proved to be modern), and we’ll examine the process of attribution in detail, demonstrating how different vase painters worked with a single potter, and the passing down of techniques from father to son. In a related vein, I’ll close by mentioning one of the (non-Getty) exhibitions that I’m most looking forward to in 2017: The Berlin Painter and His World at the Princeton University Art Museum (March 4–June 11), and then the Toledo Museum of Art (July 7–October 1). Gathering some of the finest examples of the Berlin Painter’s vases, it’ll be a chance to study the visual culture of Athens in the early fifth-century B.C., while exploring Sir John Beazley’s legacy in even greater detail.